Our body produce Vitamin D3 in the skin from cholesterol when we are exposed to adequate amount of sunlight. 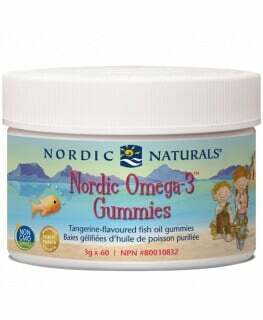 Therefore, Vitamin D3 is also known as the “sunshine vitamin”. 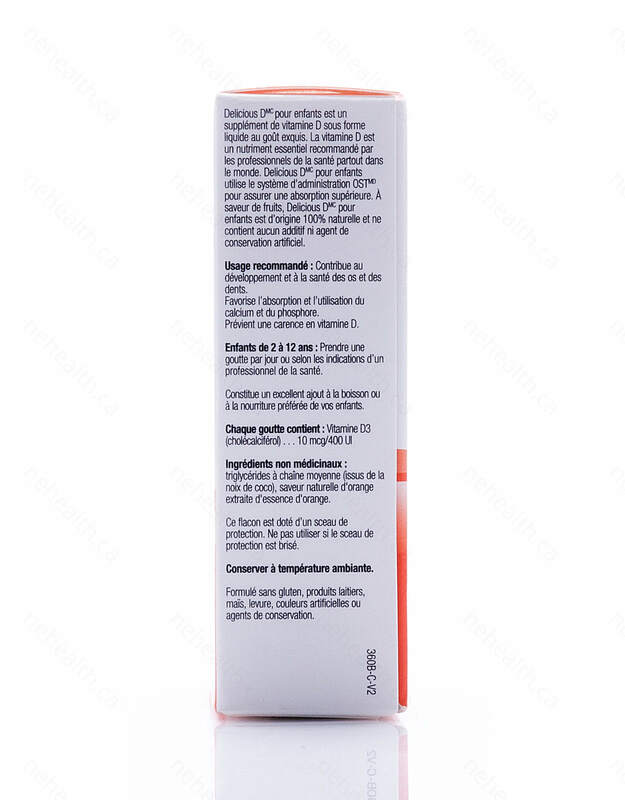 The form of Vitamin D3 produced from sunlight is called calciol. Inside our cells, the liver turns calciol into calcidiol (25-hydroxyvitamin D3). 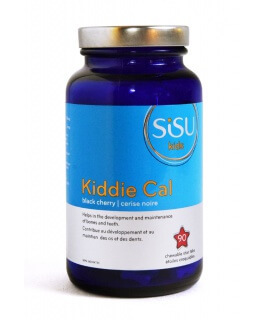 The kidneys then convert it into the active form of Vitamin D called calcitriol (1,25-dihydroxyvitamin D3). 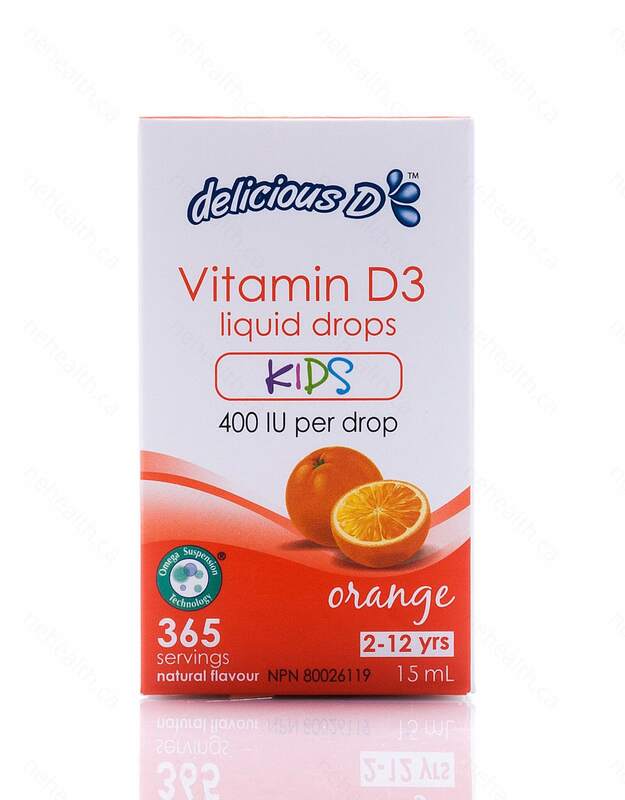 Platinum Naturals' Delicious D Vitamin D3 Kids Drops provides all the essential Vitamin D3 your children(2 to 12 yrs) need with just 1 drop per day. 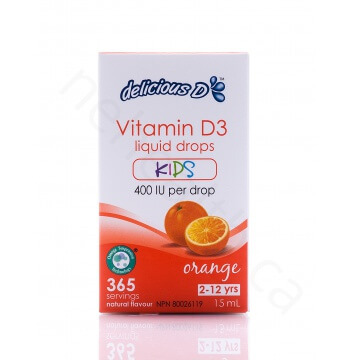 What Are the Key Health Benefits Associated with Platinum Naturals' Delicious D Vitamin D3 Kids Drops? 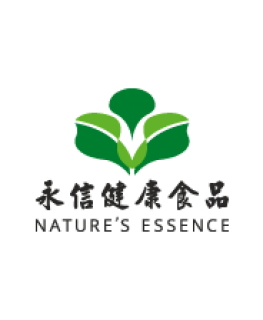 Aids in the absorption and use of calcium and phosphorus. 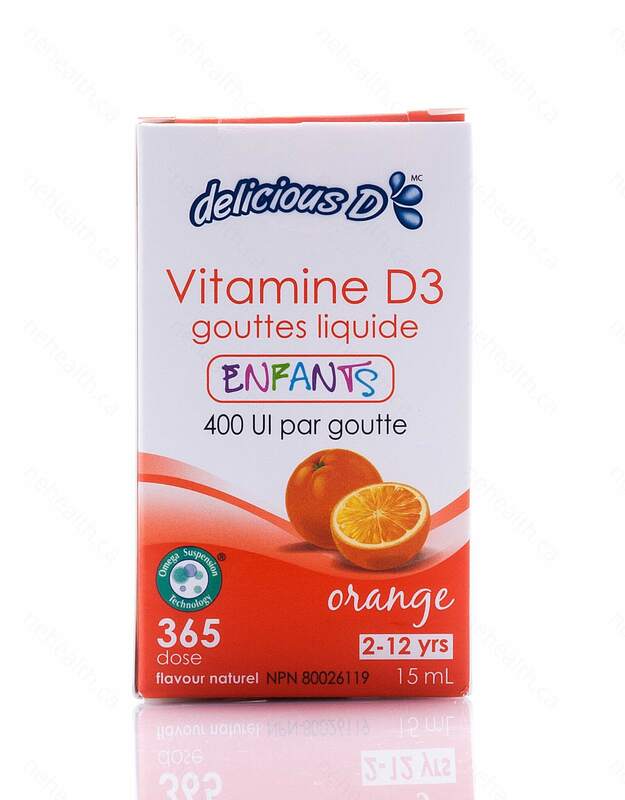 What Makes Platinum Naturals' Delicious D Vitamin D3 Kids Drops so unique? 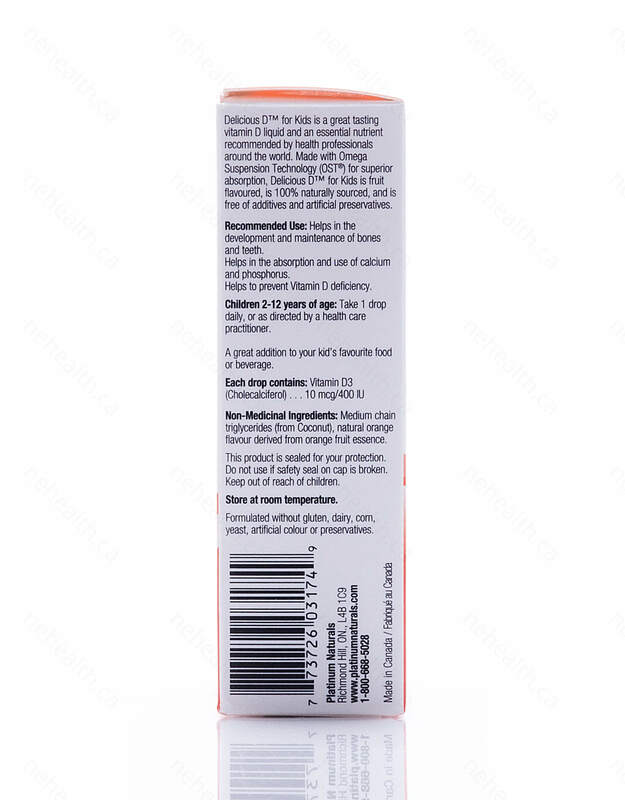 Children up to 2-12 years: take 1 drop daily or as directed by a health care practitioner.